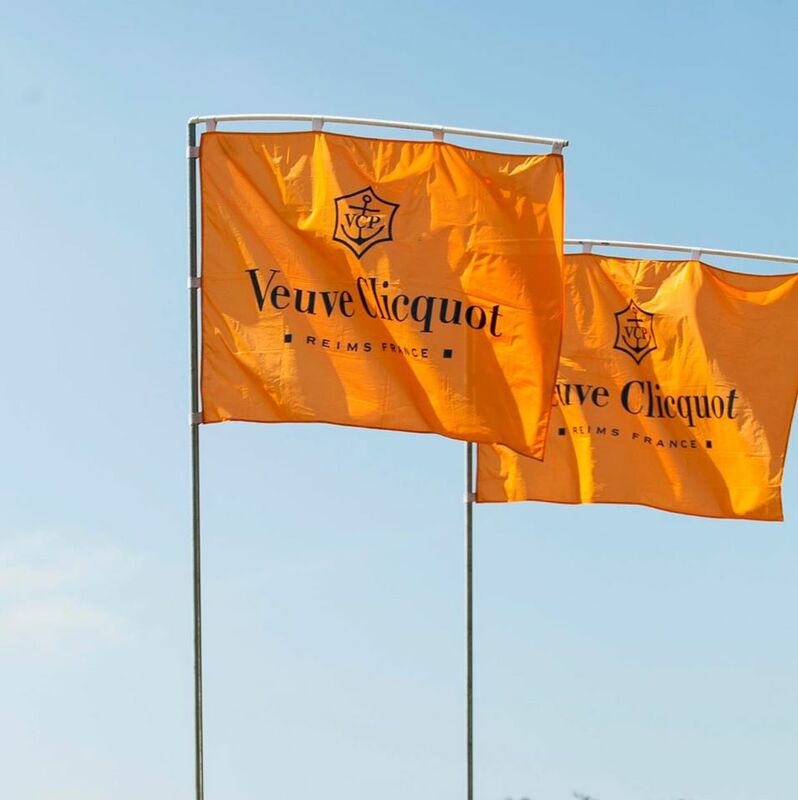 The Veuve Clicquot en Route Truck Is Coming to Spread Bubbly Love In Las Vegas. The Clicquot en Route truck with its signature yellow color will continue in honoring Madame Clicquot, the woman who helped create the brand. Before the time of electronic media, Madame Cliquot managed all of the brand’s business through letters to suppliers and agents. The Clicquot en Route truck commemorates the personal attention that Madame Clicquot’s legacy continues to share today. 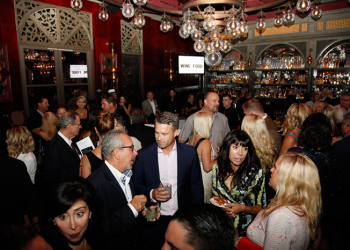 Come out and join Veuve Clicquot and us to celebrate the Clicquot Mail Truck's arrival in Las Vegas! The mail truck hosts a special photobooth, Veuve samples and surprises and encourages visitors to write and mail a letter just as Madame did years ago. We want everyone to join in to welcome the arrival of the some of the France’s best champagnes. Everyone loves a bit of the bubbly, and in our opinion the best bubbles only come from Champagne. One of the most beloved of Champagnes, Veuve Clicquot is transporting a great celebration of savings with very special offerings this week only at four of Las Vegas’s favorite restaurants: Park on Fremont, Hearthstone at the Red Rock Resort and Casino, Hard Rock Cafe' and the historic Flamingo Hotel. 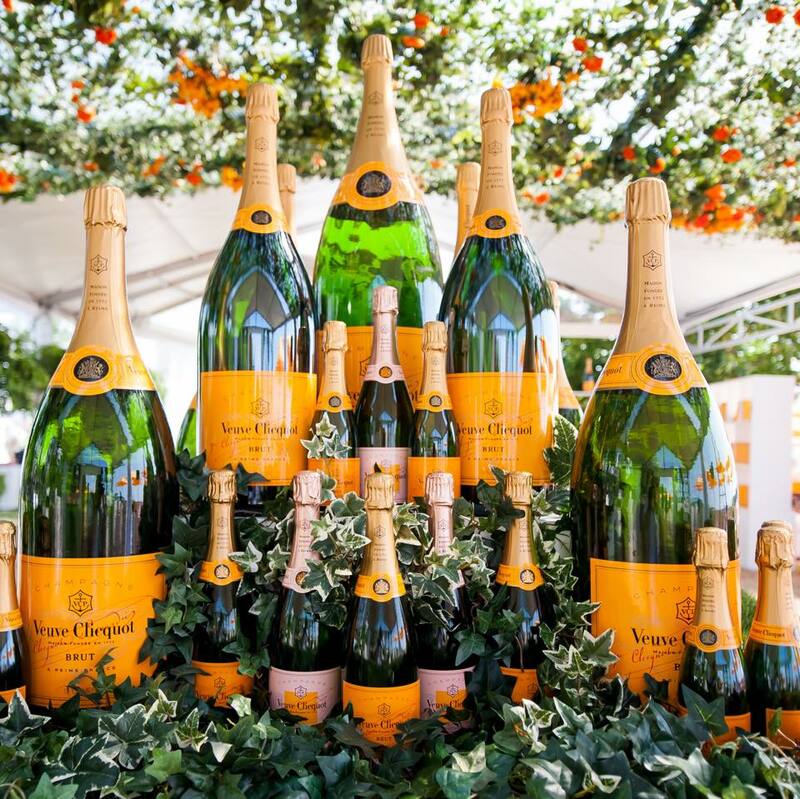 It all begins with a Clicquot en Route offering at Park on Fremont Veuve Clicquot. Yellow Label will be available by-the-glass for $13 and by-the-bottle for $58 while Non-Vintage Rosé will be available by-the-glass for $17 and by-the-bottle for $72 from 8:00pm – 10:00pm on Thursday, June 18. With the purchase of two glasses of champagne, guests will receive complimentary mac and cheese balls or house-made fried pickles. With the purchase of a bottle, guests will have the choice between a complimentary strawberry summer salad or fried chicken and waffle sandwich. On Friday, June 19 from 6:00 p.m. until 10:00 p.m., stop by the Hearthstone and purchase 2 flutes of Veuve Clicquot Yellow Label of Non-Vintage Rosé and receive your choice of truffle honey popcorn or honey olive cake. Additionally, purchase a bottle of Yellow Label and receive your choice of heirloom watermelon salad or baked ricotta, or purchase of a bottle of Rose and satisfy your hunger with a choice of tune poke or mushroom flatbread. On June 20, spend your Saturday with Veuve Clicquot at the Nirvana Pool at the Hard Rock Café. From 12:00 p.m. – 4:00 p.m.. Cool off with a Veuve Clicquot Yellow Label infused snow cone or indulge in one of Veuve Clicquot’s signature Yellow Label cookies. End your weekend on a high note on Sunday, June 21 at the Flamingo Las Vegas. Veuve Clicquot Yellow Label mimosas will be available for $16 while bottles will be avialable for $160. We hope that we see the iconic Veuve Clicquot Yellow Lablel and the Non-Vintage Rose gracing your table during these special events. There is no better way to say “celebrate” than with a glass of Veuve Clicquot. 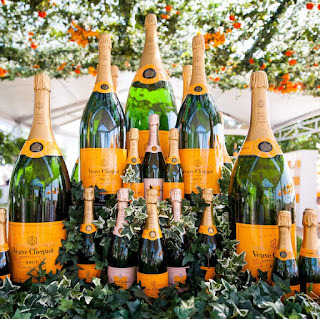 Las Vegas join The ‪#‎ClicquotMail National Tour as they will be en route traveling nearly 15,000 miles and visiting more than 20 cities from now through October! 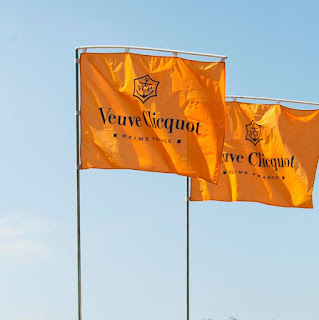 Visit www.ClicquotMail.com to learn where we’re headed and follow along at www.Twitter.com/VeuveClicquot for real-time event updates. Michelin Star Chef Alex Stratta Is Back And Plating Up Artistry At Tapas By Alex In Summerlin. Alex Stratta is a name synonymous with excellence. This Michelin award winning Chef is now bringing his culinary magic to the common diner via his newly opened Tapas by Stratta restaurant. 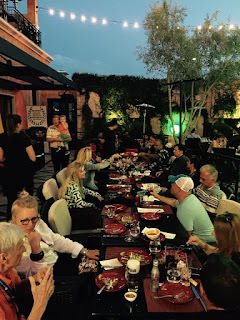 The Tapas concept although seemingly the recent rage in bringing an affordability and approachability to the masses here in Las Vegas, has been around for a very long time. Far removed for those days of practical culinary improvisation, we see this concept of small plates popping up from many major culinary Chefs who are bridging the gap between fine dining and affordability. The concept is to share and create an experience with conversation and various small plates instead of focusing on one main entrée. 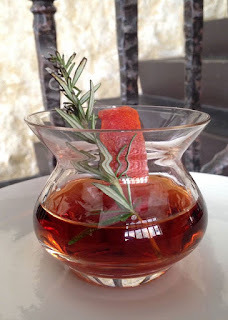 And…We don’t have to worry about the fruit flies invading our sherry, since Chef Alex has honed his culinary skills to now bring a much more sophisticated approach to the Tapas style dining experience. Nestled amongst the myriad of restaurants in the rustic faux Italian town square of Tivoli Village, Chef Stratta has opened his version of a Spanish Tapas style restaurant that has transformed the now defunct PoppyDen with bright warm beige yellow walls, eye catching red-orange seating, décor highlighted with an eclectic mix of white framed mirrors and lively original Chef Stratta paintings. As we relaxed into the seats, we were anticipating our turn to try some of the Tapas offered by this amazing Chef. He stated, “This is a labor of love.” And by creating everything from the artwork on the walls to the artwork on the plate, we are thrilled that he has poured his creative soul into this new venture. We took a look at the menu and found the food to be pleasantly thought out and superbly executed. Starting with the Slow Roasted beet salad with cheese, candied walnuts. The the creamy and pungent taste of the cheese provided an inviting contrast to the dense-semi sweet beets along with the crunch and texture of the candies walnuts to get us off to a great start. Next on the plate was the Jamon Iberico Spanish ham with tiny cigar shaped crackers. These crunchy treats are paper thin and delicate with a mild saltiness, which provided us a true taste of Spain. A nice sharable plate we highly suggest are the charred Padrón peppers with garlic chips, and onion crisps. Although not too hot, they were an perfect companion to our Tapas line up. Our favorite of the evening was the special beef cheeks. 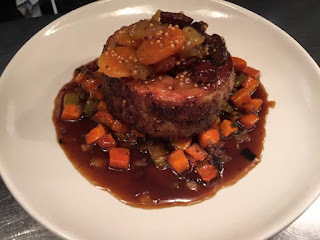 They were meltingly tender with a deep rich flavor highlighted even further with little bits of Medjool dates,spiced with jalapeno, sprinkled with sesame seed, on a bed of pureed chic peas and braised red wine sauce. Each bite was exquisitely prepared and the meat melted with the spicy sweetness of the sauce. We had to reboot and to halt the motion of the fork in order to try our next dish that was the special Paella of the evening. Highly recommended was the Paella with squid ink that created an inky blackness, and fresh seafood flavor. It’s cooked to order in shallow pans using bomba rice, dense rice that is similar to Arborio rice. Rice is the most important ingredient in paella, which is the reason many paellas are called "arroces" in spain. The rice is cooked to a socarrat. 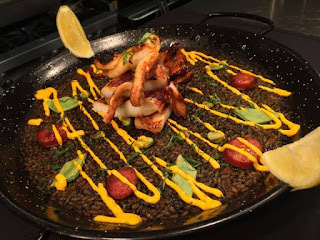 Socorrat, from the Spanish verb socarrar (meaning to singe), is an intrinsic part of paella, which when done properly creates a crisp bottom crust that needs to be scraped from the metal pan. The deeply toasted texture lends the dish its signature quality. We were glad we saved this dish to share later in our culinary journey. 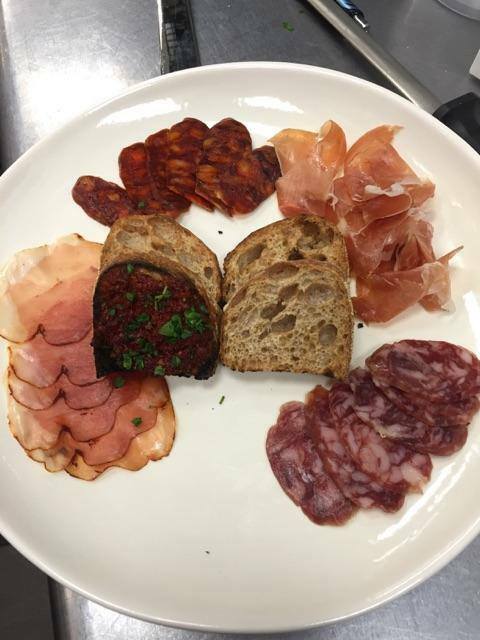 Although Tapas is known as small plates, there was nothing small about the flavors and textures of each dish. With several of these plates, we were well satisfied. Amid, our tasting and conversation, we indulged in the house sangria, of wine and fresh fruit mingled together that was refreshing and thirst quenching. Of course we had to indulge in a glass of Tempranillo to further our “Spanish” cuisine experience. Although the wines by the glass were very reasonable we felt the wine list needed more flexibility in price and range. Last but now least, was the Flan. Being a native Miamian, Flan was something that was the dessert of choice while growing up. Not just any Flan will do, this one has a firm, dense,creamy texture, layered with a caramel sauce that adds to the sweetness but doesn’t overwhelm with too much sugar. 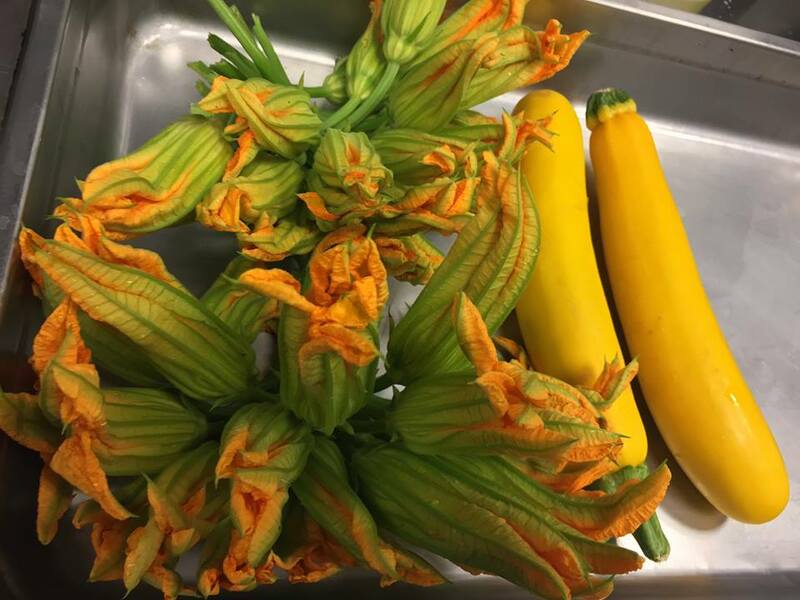 Growing pains are normal in any new restaurant, and we believe Chef Stratta ‘s depth of culinary excellence far exceeds any beginning hiccups. Adjusting to a more approachable dining experience creates a learning curve for everyone involved. 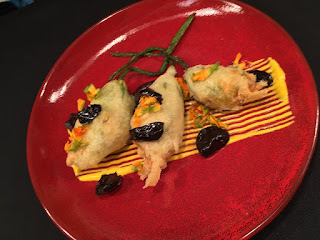 We can only hope that many will come by to share several outstanding Tapas crafted by one of our cities greatest chefs. Having this caliber of restaurant aside from the glare of the neon, is both refreshing and exciting. 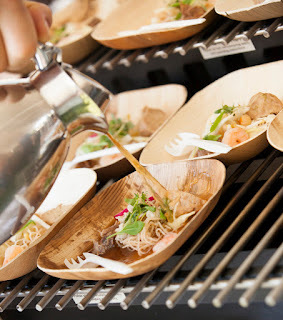 Newport Wine and Food Festival Brings Together Wines and World Class Chefs Oct-2-4 2015. Newport Beach, CA has become one of the biggest destinations in the U.S. for its luxury lifestyle and picturesque beaches. Recently it has been gaining a reputation for its exploding food and wine scene. 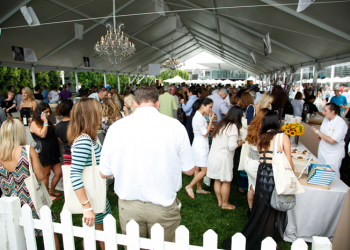 The 2015 Newport Beach Wine & Food Festival sponsored by American & Southern Wine Spirits will bring together some of the nation’s biggest chefs while spotlighting Orange County’s best restaurants, wine experts, wineries and more. 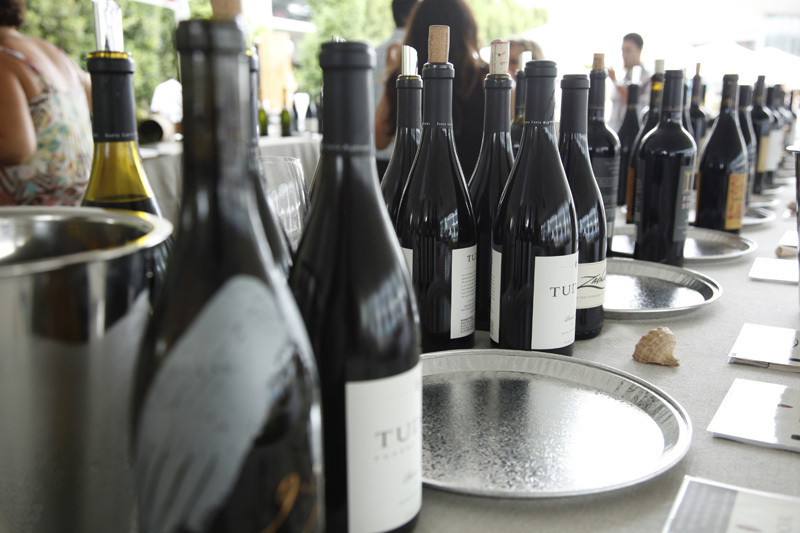 This year’s Newport Beach Wine & Food Festival features an all-star Lineup. Bravo’s “Top Chef Masters” and Recent “Top Chefs” reunite for Live Cooking Demos While the Region’s Most Renowned Executive Chefs Offer up the Best in Restaurant Tastings. 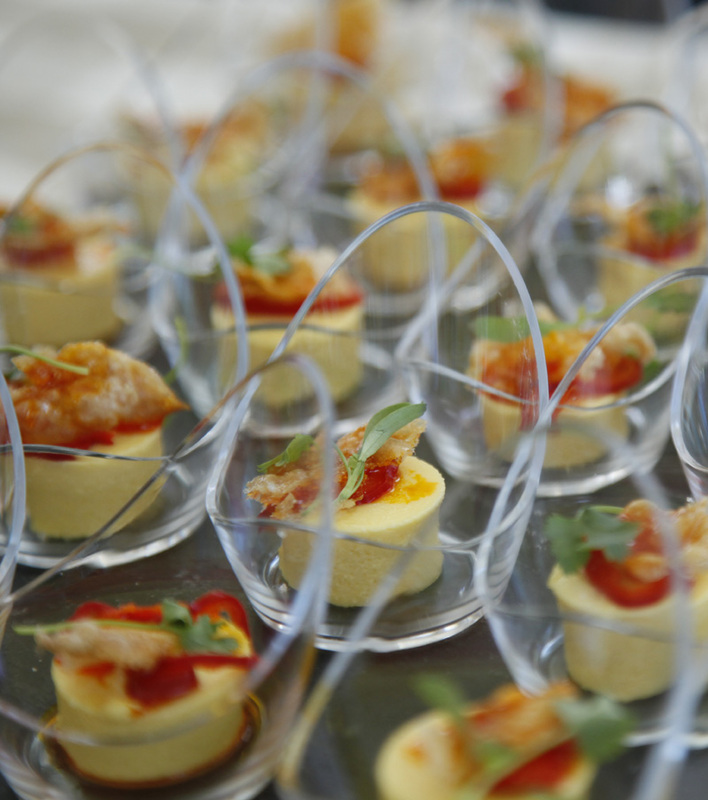 Guests will enjoy celebrity chef cooking demos by Rick Bayless, Hubert Keller, Rick Moonen and recent “Top Chef” Alums. Regional chefs get into the action with Orange County’s most renowned restaurants like Montage, Pelican Hill, Mastro’s, Roy’s, Fig & Olive and RED O.
Oenophiles will take their seats at Elite wine panels led only by Master Sommeliers, including Fred Dame and Michael Jordan (as seen on the movie Somm). There will even be 200 world-renowned, “cult" and boutique wines to be enjoyed and a jazz lounge showcasing live music, mixology courses, hand-crafted cocktails and beers samplings. At the daytime festival on Saturday, guests will have the unique opportunity to learn from Chefs Rick Bayless and Hubert Keller’s culinary mastery through live cooking demonstrations, while also mingling with them during book signings and special events. Chef Bayless will also be cooking in one of the Grand Tasting Pavilions, personally serving cuisine from his acclaimed Newport Beach restaurant RED O. 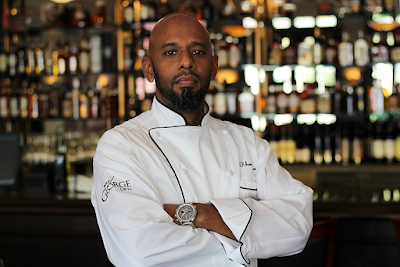 During Sunday’s Daytime Festival event, Orange County fare will collide with Las Vegas cuisine, as Golden Truffle Executive Chef Alan Greeley takes the stage with Chef Moonen. As long-time friends, this will surely serve as a highly entertaining cooking demonstration. This year, there will be an ultimate hands-on cooking competition, where guests will channel their inner chef skills on stage while being coached by “Top Chef” Alumni. Season 11 Finalist and TWENTY EIGHT Executive will be leading this Top Chef Home Cook Challenge. 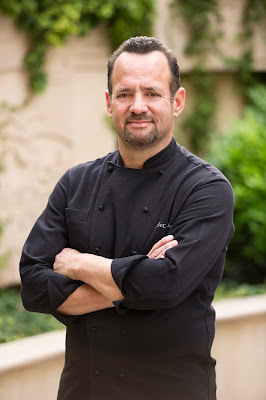 Each of the four contenders will be chosen from the audience and compete on stage with celebrity coaches like Bravo’s “Last Chance Kitchen” Winner and “Top Chef” Finalist Louis Maldonado. 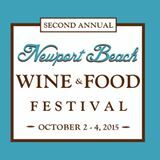 One winner will be honored as the very first Newport Beach Wine & Food Festival Top Chef Champion. 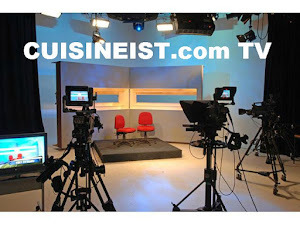 Join Cuisineist editors when the festival kicks off on the evening of Friday, October 2 (6:30 p.m. – 9:30 p.m.) with the official Launch Party & Charity Event at Oak Grill & Aqua Lounge. 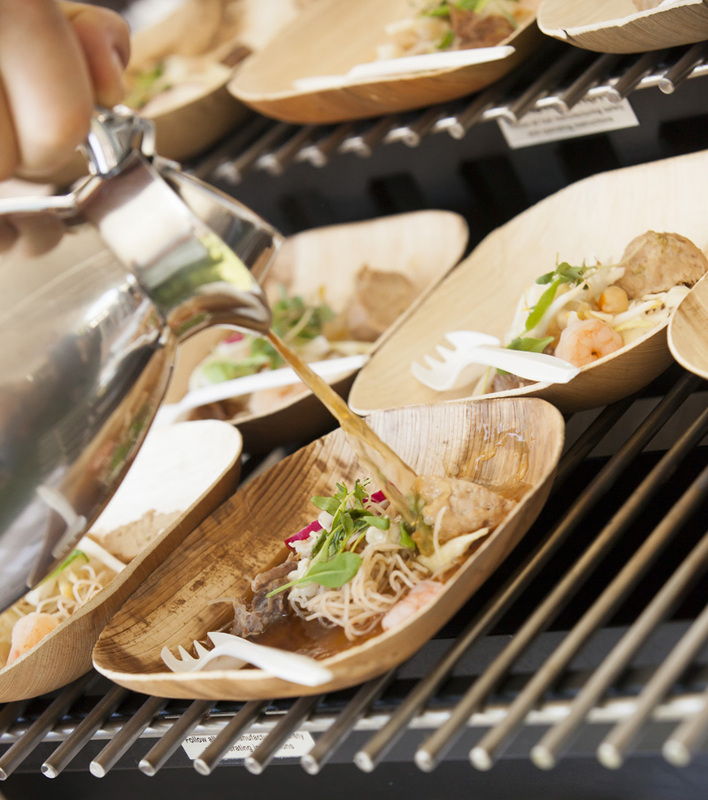 On Saturday, October 3, and Sunday, October 4 (1 p.m. – 5 p.m.), the Daytime Festival at the Newport Beach Civic Center will feature celebrity chef cooking demos, book signing, restaurant and wine tastings, sommelier panels, mixology courses, handcrafted cocktails, live jazz and more. Net proceeds benefit charity partner Project Hope Alliance. Tickets for the Festival are on sale now. More information on the Newport Beach Wine & Food Festival, please visit www.newportwineandfood.com or call (888) 511-FEST. For ongoing updates, follow the Festival on Facebook, Twitter and Instagram. See you there!